Random size case sealer automatically adjusts for case size. 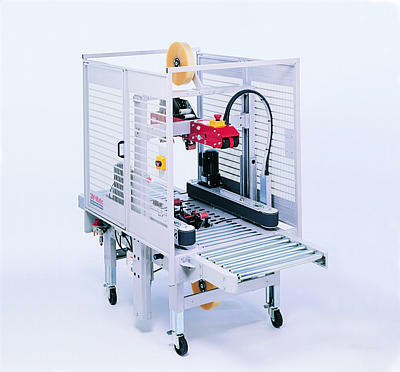 Self-centering side belt drive for consistent flow of narrow cases at up to 15 per min. Includes 3M AccuGlide II Taping Heads for low-impact application of tapes 36 mm to 48 mm wide.